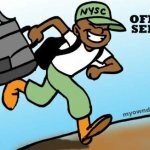 It is often said that to every rumour, there is always an iota of truth, but can it be said of the rumour going round that National Youth Service Corp (NYSC) allowance popularly called “allowee” has been increased? I don’t think so for now, maybe in few years’ time, anything can happen as far as the issue of corps members allowance increment. 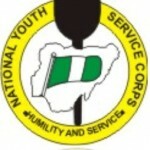 The Director General of National Youth Service Corps Brig. 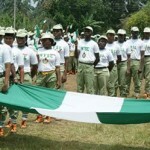 Gen. NT Okore-Affia has debunked the rumour that Corps Members monthly allowance has been increased. Addressing Corps Members at the NYSC Permanent Orientation Camp in Kastina, on Wednesday the 20th of March 2013, the Director General informed the Corps members that there was no truth in that rumour stressing the fact that their monthly allowance still remains Nineteen Thousand, Eight Hundred (N19,800.00) Naira. 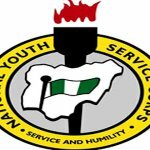 He went further to congratulate the Corps members for their successes in the various examinations that qualified them to be called up for National Service. He enjoined them to take their training at the orientation camp very serious, especially in the area of skill acquisition which will make them job creators at the end of their national service. The Director General also urged Corps members to integrate themselves with members of their host communities and respect the culture and religion of members of their host communities. Wishing them a very successful and memorable service year. The Director General further enjoined them to put in their best in their places of primary assignment. That is the statement coming out from the Director General himself, so it means no hope of allowee increment for now. Oh! This people dash corps members hope again when somebody is already thanking God for the money. As a Serving Corps Member, what do you think about these people not ready to increase the deserving young graduate who are serving their father land even with so much risk involved in some volatile area of the country.